Havana (AFP) - Fidel Castro marked his 89th birthday Thursday by insisting the United States owes Cuba "many millions of dollars" because of the half-century-old American trade embargo. Castro spoke out in an essay published in local media a day before US Secretary of State John Kerry makes a historic visit to Cuba to reopen the US embassy as part of the countries' restoration of diplomatic relations. The trade embargo that the United States slapped on communist Cuba in 1962, three years after Castro seized power by ousting a US-backed regime, remains in effect despite the thaw. President Barack Obama wants Congress to lift it, although US officials say this will take time and is not an automatic part of the restoration of ties, as it requires congressional action. Castro wrote: "Cuba is owed compensation equivalent to damages, which total many millions of dollars, as our country has stated with irrefutable arguments and data in all of its speeches at the United Nations." Castro made no mention either of Kerry's visit to reopen the embassy, a step that comes eight months after Obama and Castro's successor and brother Raul announced plans to restore relations. It officially took effect July 20. 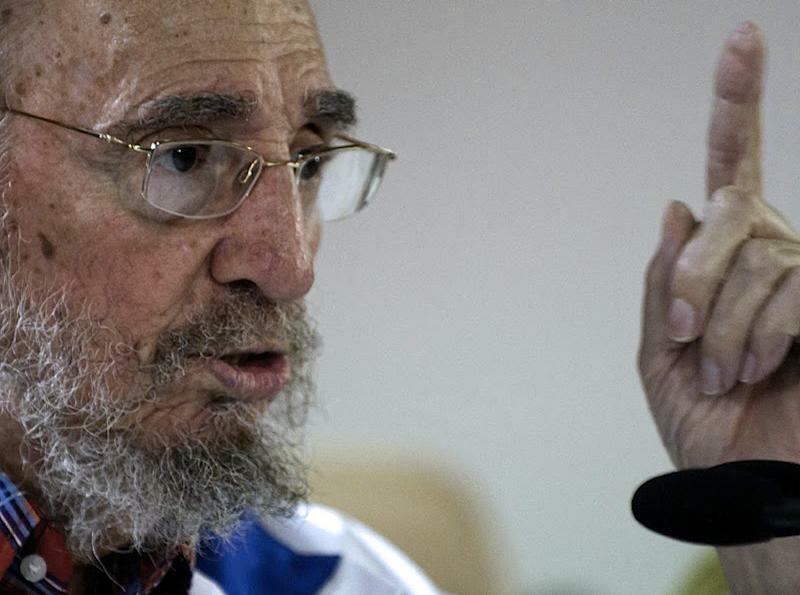 Castro ceded power to his brother Raul in 2006, stepping down because of poor health. Over the years, Fidel Castro has been a frequent contributor of essays to the communist party newspaper Granma and other media. Thursday's article was his first since May 8. "Writing is a way to be useful, if you keep in mind that we poor humans must be more and better educated in the face of the incredible ignorance that surrounds us all, except for researchers who use science to seek a satisfactory answer," Castro wrote. Castro's 89th birthday is being celebrated with a wide array of events. In town to take part is Bolivia's populist President Evo Morales, who often refers to Castro as his "wise grandfather." Castro's other regional ally, Venezuelan President Nicolas Maduro, was also present for the occasion, according to reports. 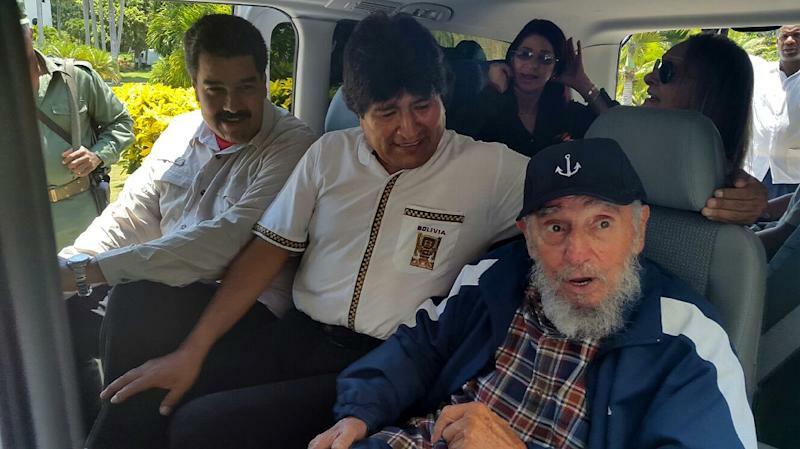 Venezuelan television network Telesur published three photos of the Cuban leader in a tracksuit and cap sitting with Maduro and Morales in a small van. Some 200 people, accompanied by beating drums, sang "Happy Birthday" to Castro early Thursday at a special concert dedicated to the former leader.